On my back deck, I saw a swarm of ants crawling over a seemingly dead spider. I got out my macro lens to get some closeup shots of the gruesome scene. I added a photo to my gallery of Nature Photos & uploaded the video to my YouTube channel, MonkeyBuddhaVids. At one point, I saw the spider's legs contract, but I'm not sure if that was because it was still alive or not. In the second half of the video, the ants are trying to rip one of the spider's back legs out. Spider-Man vs. Amazon Box Robot Dance-Off! In addition to being a graphic designer, I also own a side business called Fantasy Photos - that specializes in custom photo portraits, & The Fantasy Photo Booth for events. This past weekend, Fantasy Photos was at the Pitman NJ Autumn Fest, in the Total Turf Experience, for a 2-day weekend event. During the costume contest, one of the actors in a Spider-Man outfit got into a dance-off competition with a kid in a creative robot costume, made of Amazon boxes! I thought it was hysterical and had to record some video of it! My Dad & I were having a conversation about what the Earth looked like millions of years ago, and I was explaining how continents as we know them today have shifted over the eons. The next day, I found this website that lets you pick any time in history, and see where the tectonic movement of the Earth's crust caused land masses to form. It has overlays of the current outlines of countries and US states, to help visualize where the areas are now. 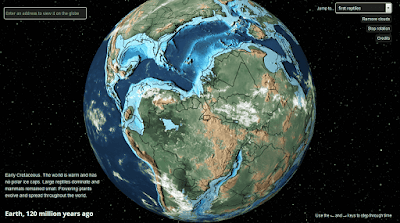 It's an awesome interactive tool that reveals just how dynamic our planet is, and also demonstrates the vastness of the geological scales of time. I have posted here previously about the joint venture that I've taken up with my wife Loretta, which we have branded Conscious Living for YOU. We created the brand & the blog as a resource for people who want to lead a healthier lifestyle. In addition to being a creative professional and being interested in spirituality & meditative traditions, I have a science background and love to learn about everything. Loretta is a nurse and a yoga teacher with a RN, BSN (Bachelor of Science in Nursing). She has a strong background in science, health, nutrition, and a passion for naturopathy and an integrative approach to medicine. 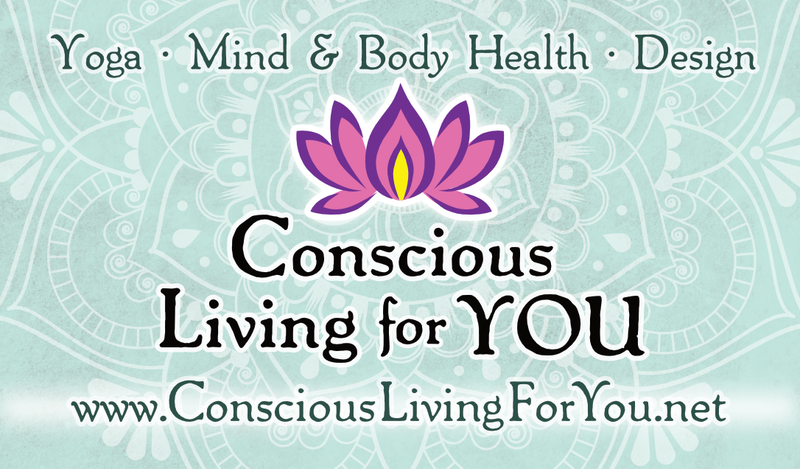 After working on it last weekend, I'm excited to announce the new website for Conscious Living For YOU is live! It will be the central location for all info on Loretta's yoga classes, as well as a source for my graphic design for health & wellness businesses. We hope to inspire others to improve their state of being, mental & physical. We also hope to inform on the best practices of both science & spirituality. Please check it out, and share it if you think others will be interested. Thank you! As a professional designer, I specialize in all forms of branding, print media, digital & web design. My clients are usually startups & small businesses, but I have also worked with some of the biggest brands & properties in the world. I have been a freelance designer for almost 2 years now, and I'm always looking to grow and find new clients. This week, I created a promotional video that's a highlight reel with a small sample of the professional work in my portfolio. or through the email in the video. I have been processing my large archive of abstract imagery. I want to share them online and create prints for exhibits & sale. 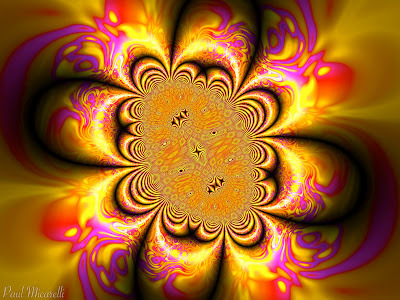 This is one of my pieces of digital abstract art. The fractal interference patterns rippling throughout the mind create an explosion of mental activity. I take a lot of nature photography, but don't often see snails for some reason. I was at my parent's house & saw this snail climbing up the wall by my Mom's garden. The snail's spiral shell is one of the beautiful manifestations of geometric principles that manifest through natural form. I took this photo with my macro lens to get some closeup detail.